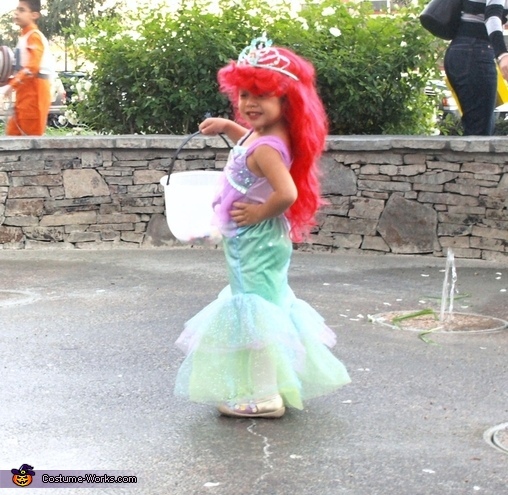 My 2 yr old daughter Khayla starts liking princesses especially Ariel, so here she is dressed up as The Little Mermaid.... together with my 11 month old Kharlo who happens to be our Little Sebastian. Hope you guys like it! Where did they buy the sebastian costume?? Thanks! Im looking for a sebastian costume and this one is adorable. Any chance you will sell one? I'm looking to buy Sebastian crab costume for me son who is in 9 month -12 month clothing. Where can I get this??! ! So cute!